There is something I'm in love with right now- Hot Air Balloons! 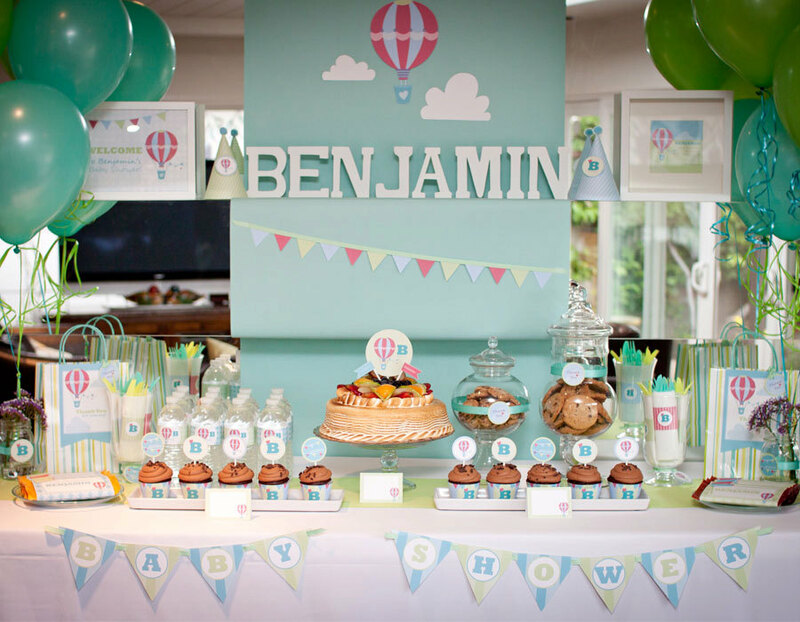 This UP AND AWAY BABY SHOWER submitted by Jennifer Yun of May Details is absolutely darling! 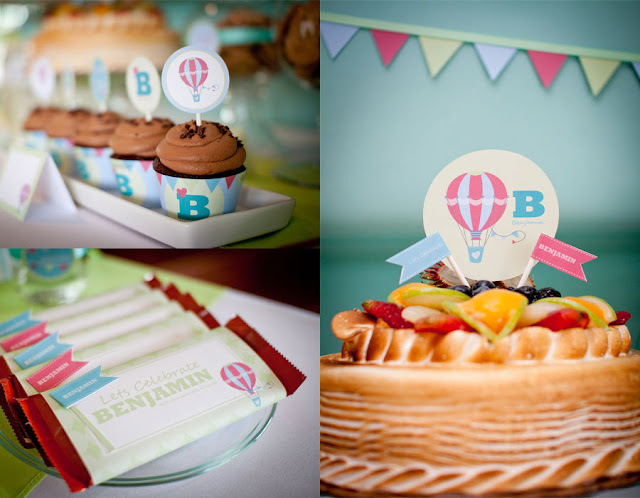 The hot air balloon images are so so cute. Love the light aqua & lime green color scheme. 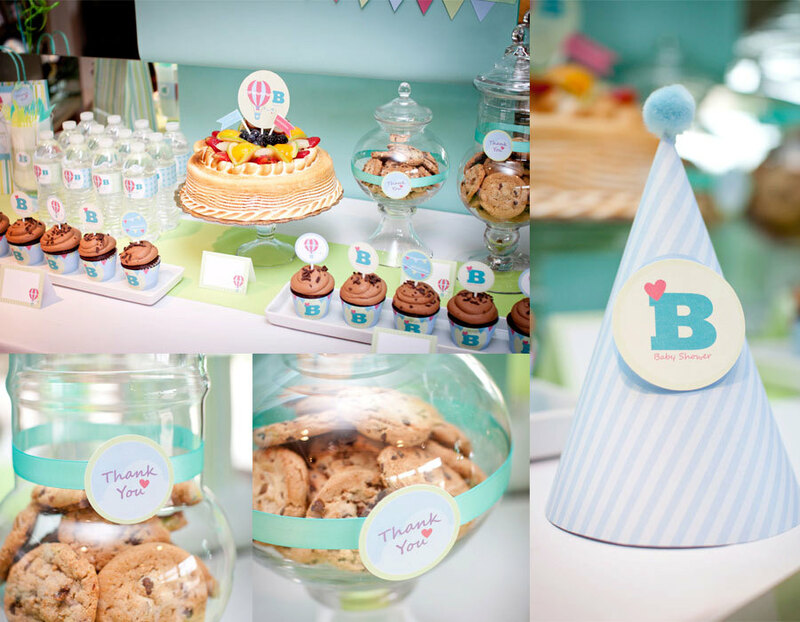 Such a cute baby shower. It could easily be a 1st birthday party as well. Here is what Jennifer said about the party- "This dessert table was designed by me for my baby shower. 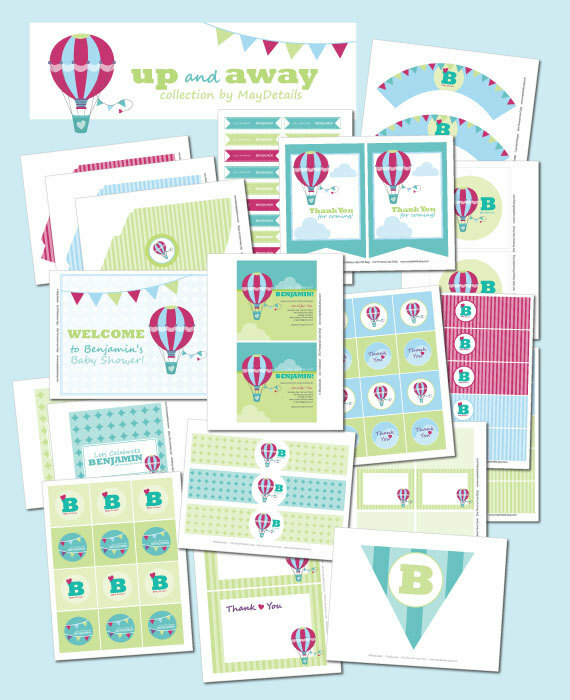 I designed all the printables myself. I have a new etsy shop, www.maydetails.etsy.com where I'm currently selling this design among others. My husband photographed all the details. 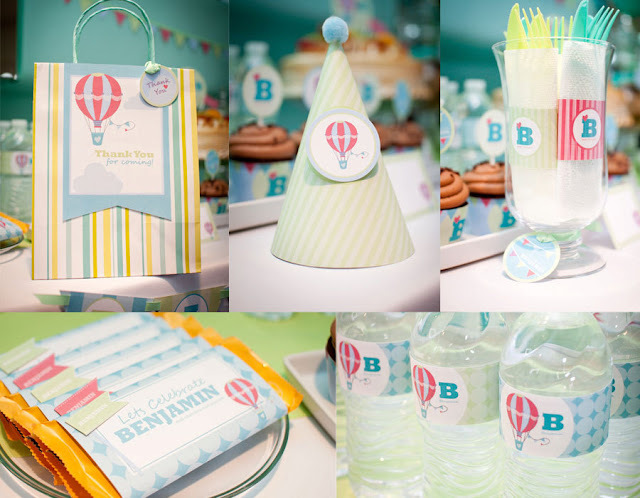 We had already named our baby boy Benjamin at the time of the shower so I incorporated that into the design. I personally love hot air balloons even though I've never been in one since I'm scared of heights. And it seemed a fitting design at the time since I had ballooned up to a huge size. :) I was craving a lot of chocolate and fruit at the time so my sister made sure to have lot of it for the dessert table. We had chocolate cupcakes, chocolate bars, chocolate cookies and a fruit meringue cake. I designed the invitation first and everything else was designed to pull the whole look together. It was a great baby shower and I would be super excited to have it and my shop featured on your blog!" This whole darling collection can be purchased here.